In a field of giants, Barkhad Abdi was in good company for the Best Supporting Actor Award. 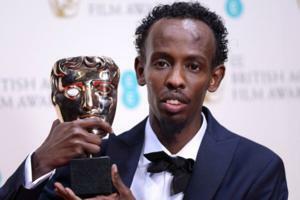 While he didn’t win for his depiction of a Somali pirate, not a bad result for his first acting career. In the flash of Hollywood, it can be hard for a first time actor to hold on. When that actor is typecast, it can be even tougher. So that then is the struggle ahead for Abdi. Without a lot of roles for Somali pirates, or even general African badies, Abdi has had a hard time nailing down his next roles, despite the accolades. Hopefully he’ll find his footing free of seas legs.